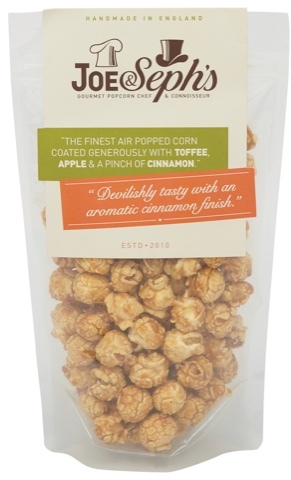 As today is International Eat An Apple Day we've found some fun apple related gifts to share with you. Hopefully there will be something you like among them! 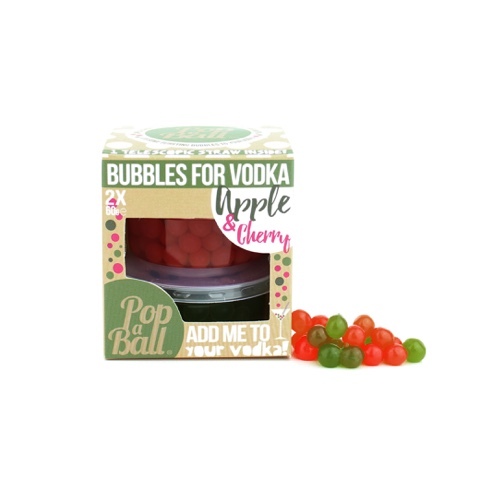 These Popaball Bursting Juice Bubbles for Vodka are the perfect thing to add to your drinks. Add a generous spoonful of these apple and cherry bubbles to your vodka for a burst of sweetness! The outer casing of these bubble tea boba bubbles is made from a seaweed extract so these little bundles of deliciousness are vegan and coeliac friendly (but still check the label!). Unopened they will keep at room temperature for around 6 months. Once you open them replace the lid and keep them in the fridge for up to 2 weeks. 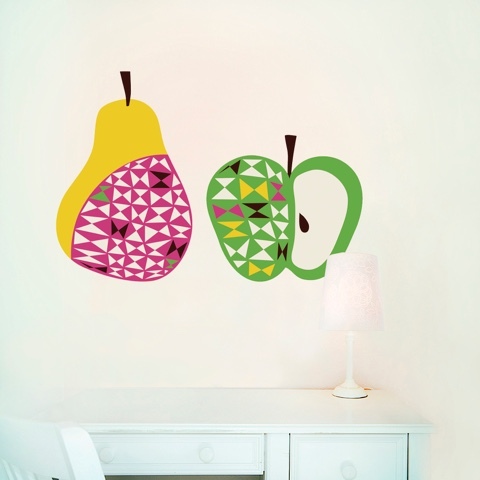 Description: The Apple & Pear Wall Sticker By Helen Dardik is a really fun, beautiful decal to decorate any wall in your kitchen or dinning room. Helen is a Ukraine born Canadian illustrator. She illustrated magazines and books, greeting cards, fabrics and home goods for Better Homes & Garden, Boston Globe, Design Design, Glow Magazine, HarperCollins, Intercontinental Hotel, Klutz, Nickelodeon, Penguin UK and more. Helen has a wonderful sense of colour and a unique Russian Folk inspired style. She is most definitely a queen of all whimsical. Chocvenyl wall stickers are very thin fabric stickers made of polyester which will adhere to almost any surface. These wonderful stickers are of the highest quality and are PVC free. Gorgeous matt with slight fabric texture. Stickers can be repositioned many times without causing damage to your wall or tearing. Simply peel off the backing sheet and place them on your wall for an instant transformation of your room. Small: 60cm x 40cm (all together on a backing paper sheet). Medium: 93cm x 61cm (all together on a backing paper sheet). 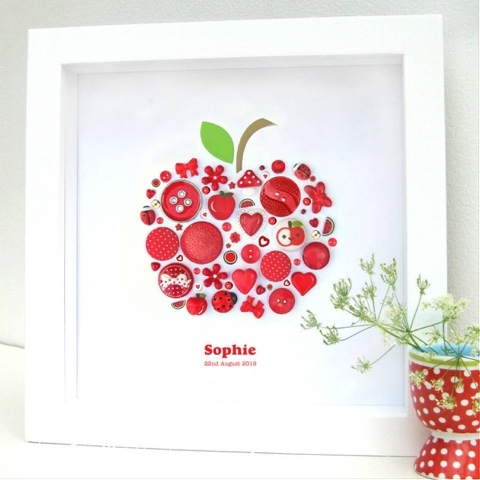 Description: This stunning Personalised Button Apple Picture will look fabulous in any room. It’s a great bespoke gift for anyone of any age, especially apt for those with a passion for buttons and anything vintage! The design comes framed in a contemporary white, wooden box frame, complete with a hook on the back for hanging, or it looks great stood on it’s side. The frames are high quality and the wood is a ‘bright white’ with a very slight texture. Unlike many pictures on offer, all our 23 x 23 cm frames feature glass glazing rather than perspex to add that quality touch. We love adding personal touches to ensure your gift looks amazing! Each framed product comes as standard in a bubble wrap sleeve and plain white box. The frames are then placed in a sturdy outer box, nestled in more bubble wrap. Your picture can be beautifully gift-wrapped with a paper to suit the occasion. The gift is strung with colour coordinating ribbon and topped off with a hand finished gift tag, left blank for you to write your own personal message. If the gift is going direct to the recipient let us know your message and we will do the rest! 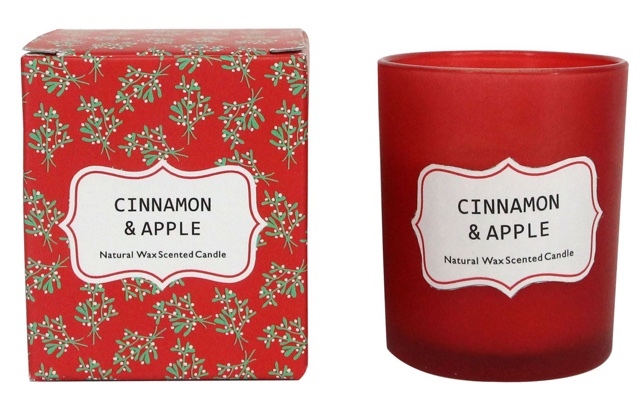 Please select the gift wrapping option when ordering as there is a small extra charge for this.